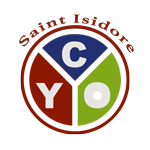 Saint Isidore's Youth Group is a great place for teens to connect with friends, grow in faith, and really make a difference! Please join us Sunday evenings at the Youth Center from 6:30 - 8:30 p.m. for food, fun, fellowship and faith-sharing. All teens in grades 8 through 12 are welcome. Each summer, a large number of our teens venture out to Franciscan University in Ohio for the Steubenville Youth Conference, a very powerful and life changing retreat.